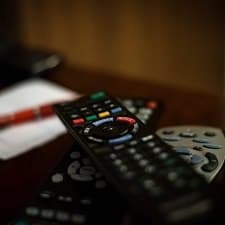 Cutting the cord and freeing yourself from that monthly cable bill is becoming more and more popular — people choose to do it not only to save money, but to avoid dealing with cable companies, who have earned their industry the title of most disliked in the country (along with ISPs). Kat recently decided to cut the cord, and I haven’t had a cable subscription since at least 2007. (My son probably doesn’t even know what cable is.) Still, finding out HOW to cut the cord can be a little nervewracking — so today we’re rounding up which streaming services you should consider, as well as which devices you may need. At my house, we stream Netflix and Amazon Prime Video, and we enjoyed a few months of Showtime … after I signed up through Prime Video and then forgot to cancel the free trial. We also use our huge DVD collection, borrow DVDs from the library (mainly Blu-ray), buy the Blu-ray versions of our favorite movies (I feel old saying those things), and watch various TV clips on YouTube, from Key & Peele to The Graham Norton Show. DVDs aside, there are so many great alternatives to cable that considering all the options can be really confusing. Still, that’s a good problem to have. Netflix: Netflix’s three plans will cost you $7.99, $10.99, and $13.99 (free trial available). (Yes, they still have the DVD-only plan, as well as a DVD add-on for streaming.) Check out websites like Instantwatcher, which lets you search Netflix by release year, genre, average rating, IMDb rating, MPAA rating, Rotten Tomatoes rating, awards/nominations, NYT Critics’ Picks (and even more), and Flixable, whose search has fewer options. Both provide lists of which TV series and movies are leaving Netflix soon. Amazon Prime Video: Available as part of Amazon Prime ($99/year total) or as a standalone for $8.99/month, Prime Video has a lot of content “Included with Prime,” as well as movies and TV to buy or rent. Here’s something you may not know if you’re not a Prime member: IMDb is owned by Amazon, which means that Prime Video can offer quick facts about what you’re watching through their X-Ray feature — just click to pause the video and see the information. (I love these — I miss Pop Up Video.) You can download content to watch later — and, as with Netflix, Instantwatcher gives you a more targeted search. The “Amazon Channels” feature lets you sign up for channels like HBO, Showtime, and PBS Kids for monthly fees. Hulu: Hulu costs $7.99/month (free trial available) for the cheapest plan, “Limited Commercials,” which has minimal commercial interruptions, while “No Commercials,” which has “no commercial interruptions” (but shows ads before and after certain shows) is $11.99/month. “Hulu with Live TV,” currently in beta, is $39.99/month for “live and on demand TV from 50+ top channels including sports, news, entertainment, and more,” and it includes the Limited Commercials plan. Optional add-ons for Hulu are HBO, Showtime, and Cinemax. Sling TV: If you’re wary about cutting the cord, this option may be for you. Owned by Dish Network, Sling TV (free trial available) lets you stream selected live and on-demand channels. Sling Orange is $20/month and gives you about 30 channels (ESPN, Disney, HGTV, CNN, Comedy Central, etc. ), while Sling Blue offers about 45 channels (Fox, NBC, etc. — but no ESPN or Disney). You can combine them for $40/month, as well as pick add-ons like News Extra ($5/month), Comedy Extra ($5/month), and HBO ($15/month). All channels are listed here. You can watch Sling TV via many platforms/devices: Roku, Fire TV, Apple TV, iOS and Android, Chromecast, etc. If you want information on other options (Vudu, PlayStation Vue, YouTube TV, etc. ), Consumer Reports has an even wider list of streaming services, with cost details, suggested audiences, and the latest news on each. BroadwayHD, $8.99/month, $99.99/year: Recorded and live performances from She Loves Me to A Midsummer Night’s Dream to Falsettos. Acorn TV, $4.99/month, $49.99/year, free trial: British TV, including long-running favorites like Midsomer Murders and Foyle’s War as well as relatively newer shows such as Life on Mars, Vera, and Very British Problems. You can also sign up for Acorn TV through Prime Video. BritBox, $6.99/month, free trial: More British TV — and like Acorn, there’s a mix of new and old(ish) content, like Absolutely Fabulous, The Office, Fawlty Towers, EastEnders, and classic Doctor Who (not all seasons available for all series). BritBox is also available through Prime Video. Chromecast: Chromecast ($35) connects to your TV via its HDMI port and lets you stream content on your iPhone/iPad, Android phone/tablet, laptop, and, of course, Chromebook. You can stream free and paid content (TV, movies, music, games, etc. ), including subscriptions like Netflix, Pandora, Hulu, HBO GO, etc. You can also use it to stream what’s on your Android device or view what’s on Chrome on your laptop, and you can pair it with Google Home. To decide between Chromecast and Chromecast Ultra ($69), use these specs from Google, as well as some info from Engadget. The main difference is that the Ultra supports 4K Ultra HD content — so you should choose that option if you have a 4K TV. Apple TV & Apple TV 4K: Apple TV is $149 and lets you watch content from iTunes, Netflix, and Hulu, and play Apple TV games — and your options are meant to be streamlined with the Apple TV app (which you can also use on iPhone and iPad). It comes with a Siri Remote (which can also be used as a game controller), and it plugs into your TV via HDMI cable. Besides the Siri Remote, you can control your Apple TV with an iPad or iPhone (using the Apple TV Remote app). You can stream Apple Music, listen to ad-free radio stations, listen to music from your iCloud Music Library, and use AirPlay to view content from your Mac or other iOS device. The Photos app lets you view photos and videos from iCloud, your photostream, and so on. The new Apple 4K ($179.99 to $199.99) enables you to watch movies and TV in 4K HDR quality (on a 4K TV). Do you have cable, or have you cut the cord? Which of the above options do you use, and do you like it? 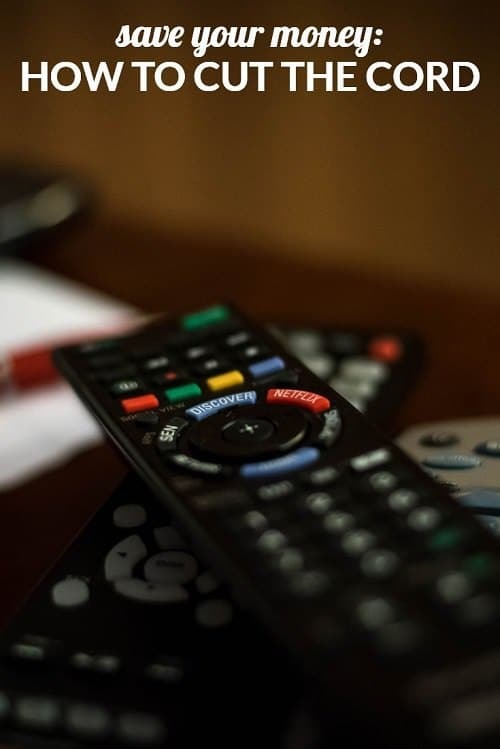 If you don’t want to give up your cable subscription, is it because there certain channels/shows that you don’t want to lose and can’t watch in other ways? Do you share passwords with your family for certain streaming subscriptions? What are your favorite shows right now that are only available through Netflix, Prime Video, or Hulu? I love the Internet, but I really do NOT want to cut the cable. There are to many stations that I watch on TV that I would have to scrambel to try and find on the web or thru HULU or Netflix or other places, most of which I have anyway. Dad pays my cable bill so it does NOT even pay for me to try and save a few dollars by cutting the bill. FOOEY! I want convenience of the cable TV and VCRs as well as the Internet and the world wide web. If I have to do anything, it is to get a bigger HDTV in my second bedroom/office so that I can watch TV while I do my billings. Right now, I only have a 32 inch TV and it is NOT a smart TV. FOOEY! Dad will NOT buy me a new smart TV until I move to the West Side. But he said that I can have 3 NEW HDTVs that are Smart TVs and all will be 4K and be no less then 55 inches each! YAY!!!! Paying the 11.99/mo for Hulu without commercials has made my tv watching life so much better. I can’t stand commercials. Hulu currently has a promo to add HBO for $4.99/month for 6 months. I think we did that, too…DH’s GOT habit! I recently did a lot of research on this and I think your guide (which is very helpful) is missing one big streaming player – YouTube TV. I would definitely recommend looking into them as an option for anyone considering cutting the cord. Yes! We love our YouTube TV. It’s cheap, gets a lot of shows (including whole seasons) and has unlimited recording. You can also watch it on multiple devices at once. It’s been great for us. Yes — that’s what we chose after trying Sling, PS Vue and Hulu. Super easy interface, lots of channels, and unlimited DVR. Plus having a YouTube TV login allows you access to apps like NBC Sports (ideal for Olympics watching). I looked into YouTube TV a few months ago, but couldn’t use it since it didn’t work with the Fire Stick (this may have changed since then). We ended up getting Hulu Live for the Olympics, which served its purpose of letting us watch the Olympics and get access to the NBC streaming app, but is really, really terrible. It constantly buffers or quits in the middle of streaming things, the fast forward wouldn’t work, and the user interface is kind of a pain. I’m not sure if some of these issues were Fire Stick related and a more powerful device would have helped, but we have fiber internet and no trouble with Netflix or Amazon Prime streaming. Is YouTube owned by Google? Google and Amazon are notorious rivals here, so I’m not surprised you can’t watch Youtube related stuff via Fire Stick. Just like it’s hard to stream Amazon using Chromecast. But are you still having to pay for internet through a big cable company like Comcast? How much does that run? I watch the bulk of my TV via streaming services on a Roku device, but I do still use Comcast/Xfinity for the most basic bare-bones cable package possible + high speed internet (I think it’s somehow cheaper to get the bundle than to get rid of cable and just have internet). I pay ~$50 per month. That’s the hidden cost, plus, if you want to be able to watch any over the air channels, getting the right antenna (which isn’t a huge expense) in the exact right location (which isn’t money, but for me was serious frustration). My husband and I tried to cut the cord. We really like TV, but then all of the sudden our cable bill for one TV with DVR and internet was $190 a month. Insane. So, we bought all the stuff, set up the subscriptions, but then we didn’t have fast enough internet. So, we called back the cable company about internet and internet was going to be $110 a month to be fast enough (just for internet). It was going to take us about several months to make the numbers work (to the point where we saved any money). In the end, we just called and switched cable companies and got 2 TVs with DVR, faster internet than we had before for $120 a month. We’ve been able to keep that price for cable and fast internet and I don’t see us turning back. Like I said, we really like watching TV. We watch lots and lots of sports, and we don’t usually like watching sports with other people (meaning we don’t want to go to a bar to watch a game). My friends who have done this and have been successful don’t watch sports and didn’t really watch TV to begin with. +1 that watching sports makes this rough, although Fubo.tv has solved it for me largely. This varies so wildly around the country. We pay ~$65/month (including all taxes and fees) for 18 mbps internet, which is neither the slowest nor the fastest available in our area. It’s plenty fast enough to stream high quality videos. Add monthly fees for Netflix, Amazon (though we pay that annually), and HBO, and you’re up to about $100/month, plus the up-front cost of the Chromecast and the bunny ears. The cost of the high speed internet is non-negotiable for us; we have to have it because my SO works from home a lot and requires a high speed connection for the work he does. We probably pay for more TV than we really get value out of, but that piece of it is relatively inexpensive, enough so that it’s not actually about the price point for me though so much as the availability of the actual content I want to watch. I mean, I was going to get internet anyway? I’m $55/mth for 80 mbps (up from $45 for 20 mbps) which is plenty fast for streaming shoes and surfing the internet at the same time. Yup. I’m sure this varies by area but we would only save $20 per month by eliminating cable since we have to buy internet for our house (DH works at home so fast internet is non-negotiable). $20 is well worth it to us, especially since our cable includes HBO. +1 for antennas. The only issue that I have with it is that it cuts in and out when I watch Riverdale on the CW. Which is unfortunate since it’s my favorite show, but it works perfectly for everything else. I pay $50/month for Google Fiber, $100 for Amazon Prime, and then alternate between Netflix, HBO, Showtime, Starz and Hulu (only one at a time, plus most of these offer free trials if you only want to watch one or two shows). We watch TV almost every night and manage to see pretty much everything we want for $800-900 per year, plus another ~$100 to rent or buy movies or shows not streaming yet. I think it would be at least 1.5 or 2x that for cable? Must vary by area, bec. even tho I live in the otherwise pricey SF Bay Area, I pay about $100/month for high-speed internet & cable bundled, including a ton of sports channels & premium movie channels. Every time I think about cutting the cord, I add up the costs & cable is so much cheaper bec. of the bundled cost of internet. I guess I’m taking into account the fact that, even if I did have cable, I’d still be paying for Amazon Prime (for shipping), Netflix, and some of the premium channels, plus buying/renting movies. Most of what I watch is movies, Prime and Netflix originals, premium cable show, and old seasons of TV shows, so the streaming expenses would only drop by a little and I’d be paying at least twice as much for cable + internet than I am for internet alone. If you don’t pay for Prime and don’t stream anything else, then paying for cable makes more sense. Lol to random local channels. We have Hulu Plus (via Roku) and there is some weird channel that is always playing old Tom and Jerry cartoons. WTF! I have rabbit ears to pick up local TV (ABC/NBC/CBS/Fox, public tv, CW, and a few other random channels). I know they make sleeker little box recievers, but I bought them over 10 years ago and they still work great, and are basically hidden by my 60″ TV. With my old Roku 3, I mainly do Netflix, Hulu and have Amazon Prime Video. I add Starz and HBO seasonally for Outlander and GoT. I do have to hunt around occasionally for sporting events, I like to stream tennis and golf tournaments for background noise while I’m working, and love the Tour de France – sometimes you can purchase a viewing pass for the events, other times NBC Sports, which I access through an, ahem, “family login”. I haven’t watched TV in over a year. It wasn’t a conscious decision, it stemmed mostly from not liking anything on TV (the last show I watched was This is Us, which I felt was so cheesy). My kids go to bed at 8:30 pm and I aim to be in bed by 10:30 pm, so there isn’t a huge block of time to do that much. Now I clean up the kitchen, work out, write in my journal, chat with DH or call a girlfriend. Of course I do browse the Internet too at times. I’ve really enjoyed giving TV up altogether. I didn’t watch TV for about a year for the simple reason that I had no TV at home (and this was before smartphones). I have never read so many books as I did that year, and I also made more of an effort to pick up the phone and call friends. I might have to try a TV fast for a month or two now. I haven’t owned a TV in over a decade… but I watch a not insignificant amount of TV, I would say. About 4 to 5 hours a week, I’d guess. Laptop on the bed! LOL on This is Us… I got the cheapest DirectTVnow so I could see the olympics. Sling cut me off on a local NBC station. So anyway then I got to catch up on This…. and I can’t see why everyone thinks Jack is so great LOL. I have Netflix and Amazon Prime and I pirate everything else I can’t get through those. I miss cable TV for things like HGTV and Jeopardy (my favourite!) but cable is so expensive here. I think we’re all going to get to a point though where we’ll be subscribing to so many streaming services it costs more than having cable. Missing for the list of devices are….computers. A lot of the streaming devices can be finicky and have annoying interfaces. If you use a computer, you can just login in your browser like Chrome, and connect your computer to your TV using an HDMI cable. If you want a “remote control,” use a wireless mouse. Cheaper and easier. Maybe a little cheaper (like save $30 for the one-time cost of the streaming device) but definitely not easier. 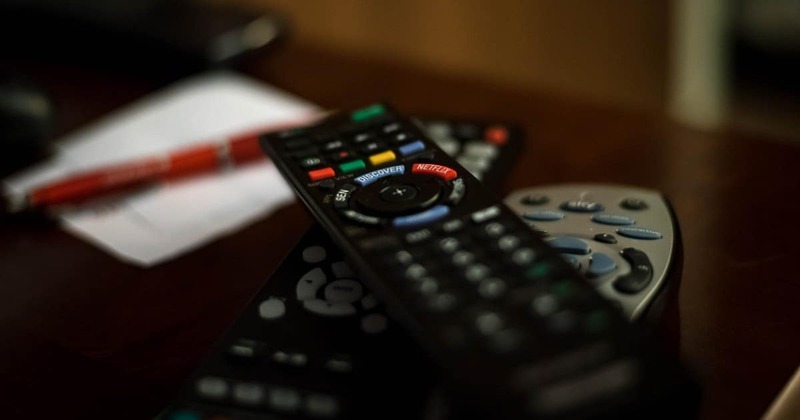 My husband and I are early cord cutters– we haven’t had cable since 2009. We used to use the laptop wired connection before the Chromecast existed, but it was such a hassle. We’re now Team Amazon Fire Stick all the way. It’s so easy to use and rarely has the bugs that we experienced with the chromecast. +1 And sometimes I want to be using my computer while I’m watching TV, instead of using it TO watch TV. The other thing that is missing – filed under the category of potentially unethical life pro tips, is sharing with family. My in-laws give us their satellite tv log-in and we use that to stream a bunch of channels through Roku. We also have Netflix, Hulu and Prime and they share our log-ins on their end to watch those. +1 for sharing the logins to satelites!